The Harness the Cloud to Maximize Work Perf Certificate enables students to develop a better understanding of uses of technology in the Cloud. 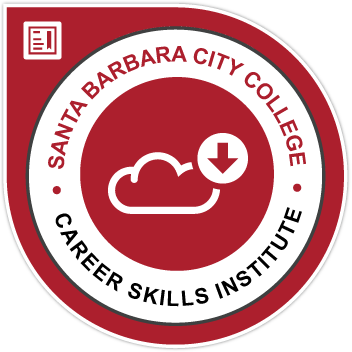 Students utilize tools such as business apps, Google Drive and Cloud storage to facilitate the creating, managing, sharing, collaborating and backing up of information. This certificate is also a gateway into other noncredit and credit programs, helping students develop workplace skills and training that will qualify them for even more work opportunities. Best Business Apps | COMP NC011 | Learn how to choose, install and sync apps to become more successful and productive in today’s technologically-based workplace. How to Use Google Drive to Maximize Performance | COMP NC012 |Learn how to access the Google Drive. Learn to upload, download, share, link, collaborate and convert files, and use the additional features including Docs, Sheets, and Slides. The Best Cloud Backup Options to Protect Your Data | COMP NC013 | Assess data needs for back up, choose the appropriate cloud backup and create a backup plan.